If your organization is subject to HIPAA compliance audit, it is important to familiarize yourself with the regulations to ensure adherence. Noncompliance can result in heavy fines, criminal charges and civil action lawsuits should an electronic Protected Health Information (ePHI) breach occur. Whether the violation is deliberate or inadvertent, the Office for Civil Rights of the Department of Health and Human Services (OCR) will not consider your defense justifiable. This article is designed to help your organization stay HIPAA Compliant. It means adhering to the requirements of The Health Insurance Portability and Accountability Act (HIPAA) of 1996, its amendments, and related legislation such as the HITECH Act. The last major update of the rule was in 2013. HIPAA's intention is to reform the healthcare industry by reducing costs, simplifying administrative processes and burdens, and improving the privacy and security of patient information. 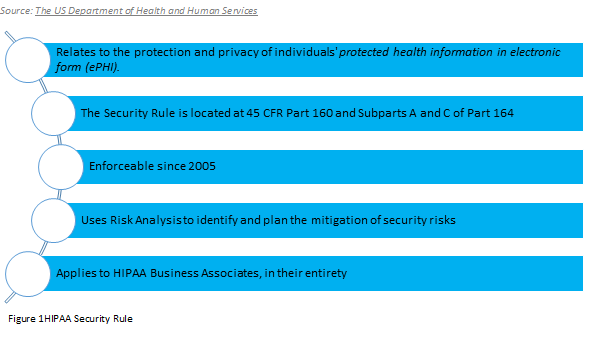 The HIPAA defines requirements for the privacy and security of Protected Health Information (PHI). Prior to HIPAA, changing jobs meant changing insurers and resuming waiting periods. This was extremely frustrating. The HIPAA eliminates this portability issue by preventing insurance lapses, enabling easier exchange of information, and facilitating better coordination of benefits. Using the electronic system to process large numbers of claims quickly presents new challenges. Information is valuable, it should be protected. The HIPAA regulations help solve the new information handling problems. How can organizations solve the new problems of using electronic systems for information handling? With automation, information is easily accessible or transported. By taking the right steps to prevent information breaches, organizations can solve the new problems of using electronic systems for information handling. 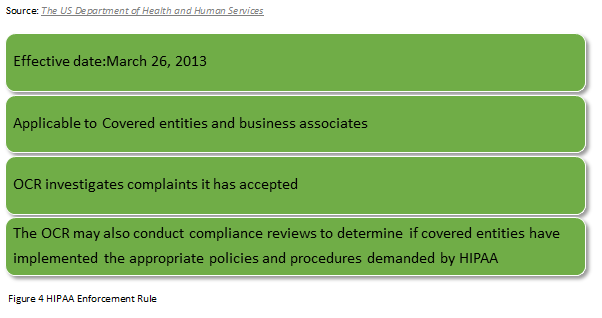 Who is covered under the HIPAA? Covered Entities: Covered entities are Healthcare providers, health insurance providers, and employer-sponsored group health plans that deal directly with protected health information. Workforce Members: The covered entity is responsible for the actions of its workforce - Employees, Contracted Staff, Volunteers, Agents. Business Associates: An individual or business that provides a service or performs a certain function or activity for a covered entity that involves the business associate to access to PHI maintained by the covered entity. Examples include medical billing companies, medical storage, marketing organizations, software companies, medical device manufacturers, etc. "The Rule requires appropriate safeguards to protect the privacy of personal health information, and sets limits and conditions on the uses and disclosures that may be made of such information without patient authorization. The Rule also gives patients' rights over their health information, including rights to examine and obtain a copy of their health records and to request corrections." "The HIPAA Security Rule establishes national standards to protect individuals' electronic personal health information that is created, received, used, or maintained by a covered entity. The Security Rule requires appropriate administrative, physical and technical safeguards to ensure the confidentiality, integrity, and security of electronic Protected Health Information." "A breach is, generally an impermissible use or disclosure under the Privacy Rule that compromises the security or privacy of the Protected Health Information." "The HIPAA Enforcement Rule, 45 CFR Part 160, Subparts C-E, establishes rules governing the compliance responsibilities of covered entities with respect to the enforcement process, including the rules governing investigations by the Department, rules governing the process and grounds for establishing the amount of a civil money penalty where a violation of a HIPAA Rule has been found, and rules governing the procedures for hearings and appeals where the covered entity challenges a violation determination." If there were issues identified in Breaches identified in the prior audit, ensure they don't repeat. Review your own compliance instead of letting others find the gaps. Professionals who may be interviewed include CEO/President/Director, HIPAA Officer, Systems Director, Security Officer, Network Engineers, Network Administrators, Hardware specialists, DR/backup specialist, Physical Access manager, HR, Training Director, Incident Response leader and others as they may request.